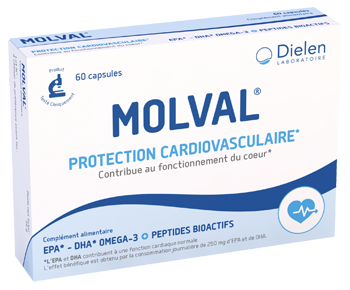 MOLVAL® is an original combination of a purified fish oil rich in omega-3 fatty acids (EPA and DHA) and bioactive marine peptides (Gabolysat). 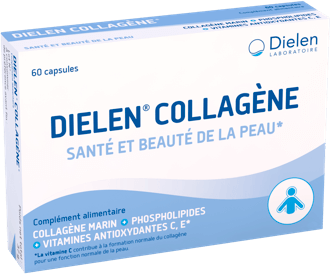 EPA (eicosapentaenoic acid) and DHA (docosahexaenoic acid) are the essential omega-3 fatty acids. Gabolysat BIOACTIVE MARINE PEPTIDES are small proteins and amino acids obtained from fish. The ingredients are selected and checked for their nutritional quality. The EPA and DHA in fish oil contribute to normal cardiac functioning. 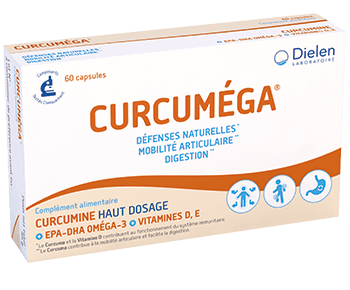 The beneficial effect is obtained by consuming 250 mg of EPA and DHA every day. 2 capsules twice a day for 3 months, preferably after meals. 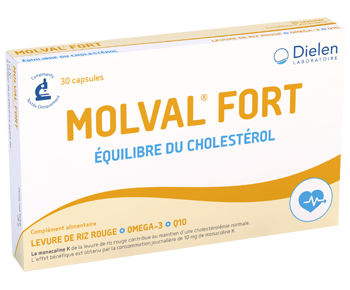 It is advisable to use Molval in combination with regular physical activity, balanced meals and avoidance of tobacco. In the event of pregnancy, ask your pharmacist or doctor for advice. This product is not recommended for people who are allergic to fish and soya.